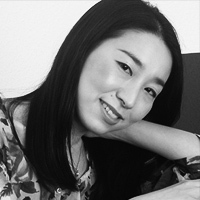 The pianist Natsumi Ohno was born in Japan and began studying music in Tokyo. She later completed her Konzertexamen with Prof. Bernd Goetzke at the Hochschule für Musik, Theater und Medien Hannover. In addition to her soloist training, she specialized in song accompaniment in Justus Zeyen's class as well as instrument accompaniment for strings and woodwinds. During her studies, she received stipends from Tokyo College of Music as well as the Yehudi Menuhin foundation "Live Music Now". Ohno is an awardee of the International Chamber Music Competition 'Premio Trio di Trieste' and of the International Piano Competition 'Citta di Sulmona' in Italy. She has appeared as an accompanist at a variety of violin competitions, music festivals and masterclasses, including the Joseph Joachim International Violin Competition in Hannover, the Schleswig-Holstein Musik Festival, the International Festival of Young Violin Masters Lindau, the IMAS International Music Academy in Germany, the International Holland Music Sessions, the Morges Music Academy in Switzerland, the Summer Academy Cervo in Italy and Gdansk Music Festival in Poland. Ohno is full time faculty at the Hochschule für Musik, Theater and Medien Hannover.